This is a restricted part primarily used for drone manufacturing and repair. We require proper end use documentation, identity proof of company/individual as well as license to manufacture/operate drones or an indemnity bond for the same. Without this documentation we can not service any order which includes this item. If proper documents are not received within 10 days, refund will be issued from our side for this item. You can download the format for documents here. We will share this information to any government agency if and when required. The Naza-M Lite is a powerful flight controller for enthusiasts, as well as commercial and industrial flyers. It is easy to install, simple to configure, and extremely stable.For entry-level enthusiasts, now brings out the most cost-effective solution, the DJI Naza-M Lite Multi-Rotor Flight Controller system. As the simplified version of NAZA-M, it inherits the high reliability and stability of NAZA-M. The innovative All-in-one design simplifies installation and saves space and weight. For entry-level enthusiasts, DJI now brings out the most cost-effective solution, the NAZA-M Lite flight control system. As the simplified version of NAZA-M, it inherits the high reliability and stability of NAZA-M. The innovative All-in-one design simplifies installation and saves space and weight. It contains inner damping, controllers, 3-axis gyroscope, 3-axis accelerometer and barometer in its light and small Main Controller. It can measure flying altitude, attitude and therefore can be used for autopilot/automatic control. The advanced attitude stabilization algorithm not only inherits the outstanding flight stability of DJI products, but also provides excellent maneuverability. It is more flexible and stable, and gives the hobbyists a wonderful flight experience. It offers three types of control modes: GPS Atti. Mode (with GPS module), Atti. Mode, Manual Mode. 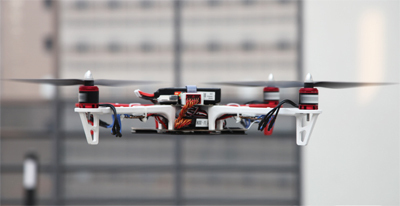 The pilot can switch between the three modes to achieve different flight characteristics. It also can adjust automatically within the flight environment and intelligently switch between GPS Atti. Mode and Atti. Mode to make sure the flight is safe and secure. 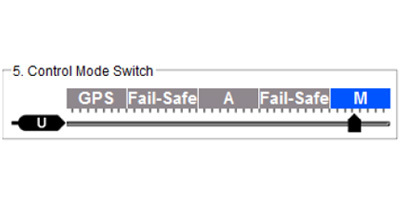 If your transmitter supports failsafe, then you can set failsafe through port-U. 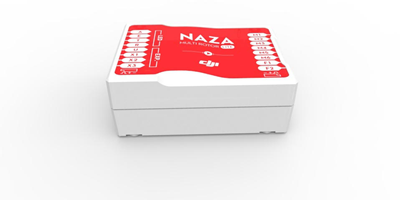 Naza controller has built-in auto level failsafe function, which means when the communication between MC and the transmitter is disconnected, the outputs of all command sticks from controller will go to center position. If the GPS module is used, you can also set RTH on failsafe. 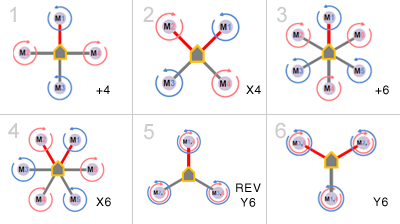 If your transmitter has only 4 channels, then MC will work in Atti. Mode by default without the failsafe function. In order to prevent your multi-rotor from crashing or other harmful consequences caused by low battery voltage, we have designed two levels of low voltage protection. You can choose not to use this, however we strongly recommend you to enable the protection. Both levels of protection have LED warning as default. 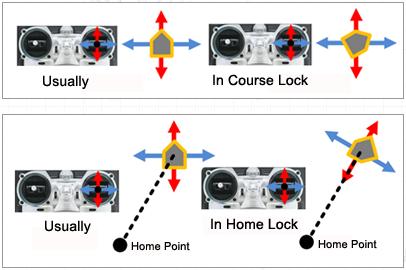 The first level will blink the red light continuously; the second level will blink red light continuously and the multi-rotor will descend and land. In manual mode when low voltage protection is triggered the LED warning will be active only. 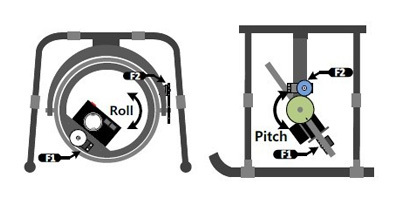 When you want to start the multi-rotor, you need to perform any of the ways of CSC. During the flight, if the motors stop, you can immediately execute the CSC and the motors will start. This enhances the safety of the multi-rotor; no uncontrolled starting of the motors. Motor Disarm: There are two modes of Motor Disarm: namely Intelligent Mode and Immediate Mode. Minimum Four channel receiver supported, also PPM and Futaba S-Bus receiver supported. PPM & S-Bus receivers (the general use of the first 8 channels of S-Bus receiver) to optimize the channel connection, the A, E, T, R, U five-channel functions are set using channel X2, use only one servo cable to connect the PPM or S-Bus to X2, this makes installation quick and easy, not easy to make mistakes. 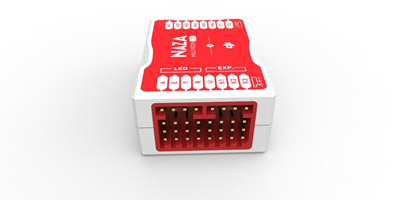 Naza-M Lite now supports six types of multi-rotor, which meets the different needs of the enthusiasts. The default parameter settings are OK for you to achieve a normal flight, and it also supports remote parameter adjustment by using a control slider on the TX during flight, in order to obtain better performance. 3M VHB Tapes x 4(Round), x 2(Square). *Note: Package does not include GPS module, you have to purchase it separately.